When you buy a good bottle of wine online, you’re buying much more than a 2003 French red wine with a 12 per cent alcohol rating. You’re buying the history of Bordeaux as a region, tales of vineyards and grapes, the wine expert’s review, Parker's 96 points and much more. This is all information that you expect the wine merchant to make available to you, which also conceals highly complex, interrelated data. When telling a customer about the vineyards, describes the grapes, etc., a wine merchant is using what is known as metadata, i.e., product data not directly linked to a specific product, but to be used across several products, typically coming from external sources. Other examples of metadata might be general brand information attached to particular products or on images (rights, size, keywords, etc.). It might also be catalogue data (cover images, descriptions, general text, etc.) that one does not want to include on a specific product that must appear in several different catalogues. to customers. The more scattered the data, the more manual work it takes to maintain it. 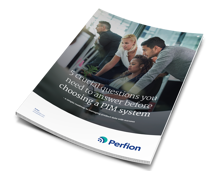 The alternative to trying to juggle product data across systems is to use a PIM system. 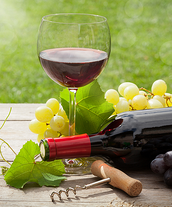 For the wine merchant, this means that when the description of a vineyard needs to be updated, it only has to be done in one place, namely in the PIM system, and then the change will appear everywhere on the website where the vineyard is mentioned, as well as in all other marketing and sales materials. What defines complex product data? Metadata thus increases the complexity of your product data, and it is precisely an assessment of that data's complexity that is crucial to deciding whether you need a PIM system or can settle for a manual solution. Each additional language adds significant amounts of manual labor if you do not have a PIM system to manage product data. In this case, maximum time savings can be achieved if you can update the product information in one central location rather than having to adjust it everywhere that a given product is mentioned. If you record the same five types of data for all products, it is possible to handle it manually, but if there are differences in the types of data included for different product categories, it will be hard to manage without system support. Working with configurable products, i.e., that can be varied with a number of different “subproducts"
Configurable products or variants of products increase complexity by creating many different combinations of product information that can be hard to manage manually. Assessing data complexity is just one of the things to be taken into account when looking for the best way to manage your product data.